We’ve been getting crafty all around NYC hosting fall craft events making leaf decoupage pumpkins. We wanted to put a Halloween spin on them, so we printed out some vintage inspired images (on a laser printer) and got cutting! This craft is so super simple, we probably don’t even need to explain it, but here’s a quick overview. Cut out images. 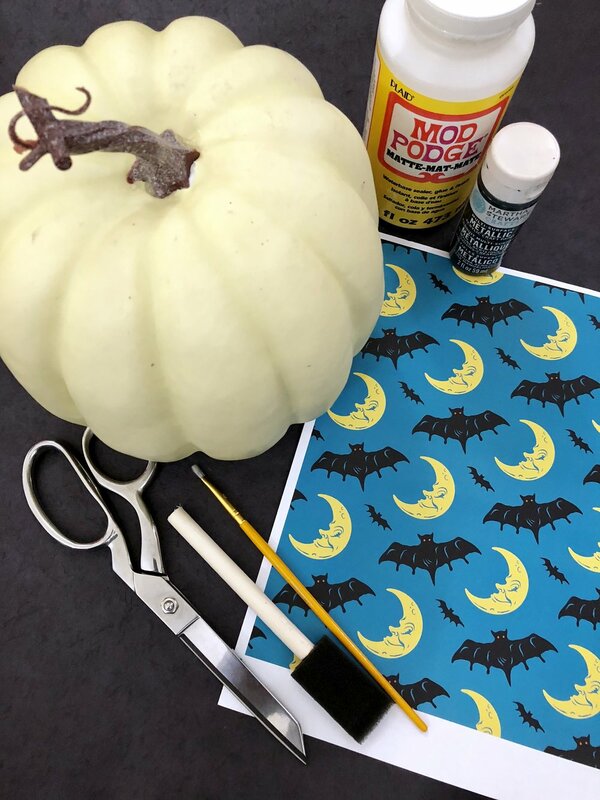 Paint Mod Podge on the back of images and on the spot of the pumpkin you’re placing it. Lay the image on and apply more Mod Podge carefully without tearing the paper. Smooth out with your finger if there are big wrinkles. 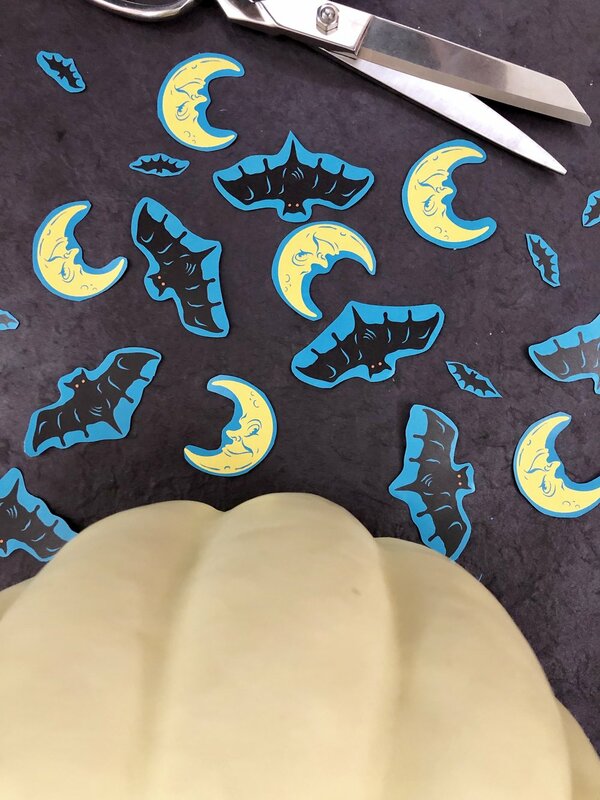 (Some of the paper will end up folding because of the shape of the pumpkin.) We painted the stem a metallic black because the brown stem was just ugly…and it just looks more cohesive!